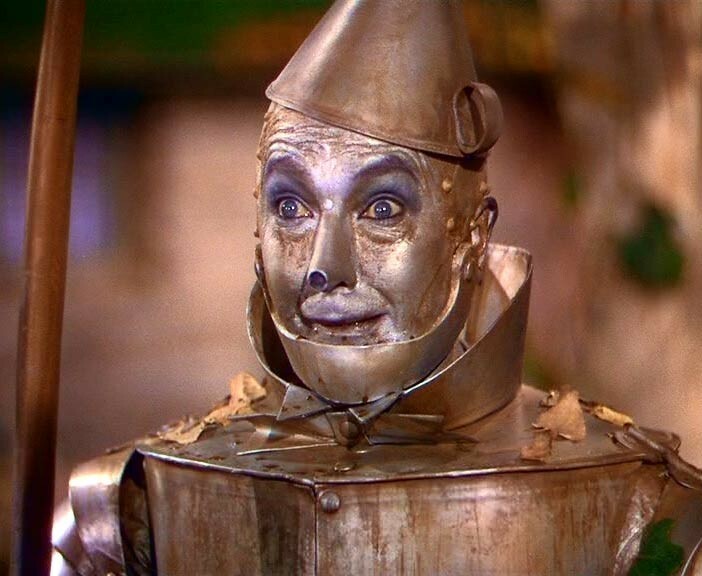 Tin is a commonplace metal that’s used industrially in a thousand different ways. From the solder that holds your computer’s motherboard together to the PVC plumbing under your sink, tin compounds are everywhere. In spite of its versatility, tin possesses an interesting physical property which is responsible for its tendency to wear down over time outdoors. This phenomenon, known as “tin pest”, is certainly not due a biological organism, but is widely mistaken for an oxidation reaction. Instead, tin pest happens thanks to something called allotropy—the metal’s atomic lattice can take on multiple different shapes, depending on the temperature it’s kept at. In an effort to improve materials used in aviation and medicine, a team of Irish researchers is studying the legs of certain insects. Some features that appear to contribute to the legs' sturdiness don’t actually do so, they found, while others that would be expected to weaken the legs don’t have that effect. These null results provide fresh insight into the surprising ways that nature works. But the new understanding also has the potential to contribute to applications of engineering materials shaped like the insects’ legs. David Taylor’s team examined how the insects’ legs, which consist of light, thin, tubelike structures of cuticle material, buckle and bend in response to pressure. “Many materials in nature have evolved to perform some mechanical purpose. So my research group is looking at insects, crabs, plant stems, eggs, etc.,” explained Taylor, a professor of mechanical engineering at Trinity College, Dublin. In addition to studying how the natural materials work, said Taylor, engineers must also be sure they understand how they might fail. Long, thin-walled tubes tend to maintain strength despite weighing less than other types of structures. That provides an obvious benefit for designers of aircraft parts and hospital equipment such as catheters. But the tubes’ tendency to buckle, in the way that a drinking straw gives when bent, counters that advantage. Taylor’s team set out to understand how differences in the detailed structure of insects’ legs influence their buckling behavior. They began with locusts, which are large and easy to work with, before moving on to other largish insects that live different lifestyles, including bees, stick insects and cockroaches. Those insects not only use their legs in different ways in their natural environments; they also have different leg structures. “The interesting aspect I found [in the Taylor group’s work] was the observation of the different cross-section shapes of the insect legs,” said Ahmer Wadee, a professor of nonlinear mechanics at Imperial College, London, who studies why metals and other materials buckle. Stick insects have five ridges running down their legs. Bees’ legs have triangular cross-sections, with one large, flat surface used to carry pollen. And the legs of locusts and cockroaches have almost circular cross-sections. Taylor and his team obtained their subjects locally. “We buy our locusts from a pet shop where they are normally used as food for the snakes. So we feel they get a slightly nicer and longer life with us,” he said. “In our care they live much longer than they normally would, even in the wild. And at the end of our work they are euthanized in a humane way." To test the buckling behavior of a leg, on a living insect or detached from it, the team fixed one end by putting it in quick-drying polymer cement. Timing was critical. “We needed to test the legs within a few minutes of cutting them off because they quickly dry out and become more stiff and brittle,” Taylor recalled. The team found that buckling is a complex process that can occur in several different ways. Under a growing force, a leg suddenly becomes unstable, said Taylor, which can quickly lead to deformation and failure. In addition to experiments with the actual legs, they use computer simulations. The experiments and simulations revealed that two types of buckling occur more or less simultaneously. These are local buckling, which is what happens when you press on the ends of a beer can, and ovalization buckling that occurs when the circular tube becomes oval and bends more easily. Further investigation showed that different tube shapes confer no apparent advantage or disadvantage on insects’ legs. A related piece of research compared the forces that insects’ legs experience with those that predictions indicate will cause the legs to break. Graduate student Eoin Parle found that when locusts jump, their legs experience more than half the failure force. However, locusts have a safety mechanism, according to recent research by Malcolm Burrows, emeritus professor of biology at the University of Cambridge. “This is a specialized region in the tibia which buckles if the leg over-extends, but which contains the elastic protein resilin that returns the leg to its original shape,” Burrows said. What does the Trinity College team’s research, which it presented at a meeting of the Society for Experimental Biology, suggest for the design of man-made structures? Engineering designer Vic Tandy had just seen a ghost. That, or he was losing his mind, he thought. 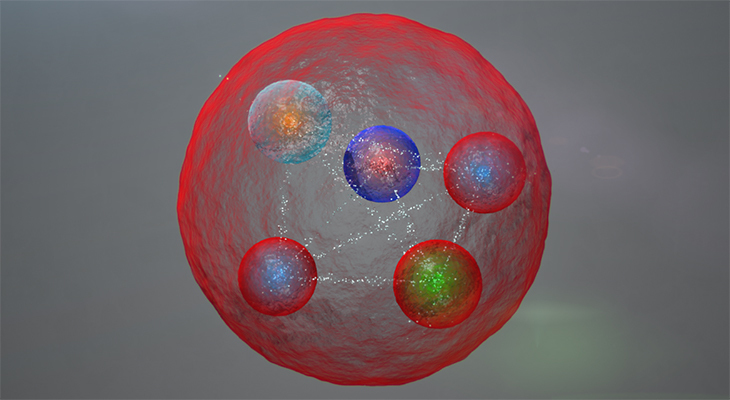 One week ago, an international team of scientists announced that they had discovered the pentaquark, an exotic, short-lived chunk of matter that had long eluded researchers. Its serendipitous discovery fills in one of the remaining gaps in the Standard Model, the prevailing but incomplete theory of particle physics, and it potentially points the way to weird “subatomic molecules” and other exotic forms of matter. I know you missed us during our recent hiatus, but we’re back to bring you the latest and most exciting stories from the world of physics! If you read our last post, you might have guessed that the Physics Central team has been doing some flying lately. A career in physics can take you all over the world (our resident Mathlete just returned from Taiwan) but this month’s adventures took us to beautiful San Diego, for the 46th Comic-Con International! Asking yourself how on earth a bunch of physicists get sent to a comic book convention? You must not have heard of Spectra, the Laser Superhero! Spectra is an original comic series that follows the exploits of Lucinda Hene as she learns to use the powers of the laser and save the world from villainous plots, with the help of her friends! Written by a PhD physicist on staff here at APS, the comics are shipped to middle schools around the country with the aim of entertaining students, teaching some basic physics, and inspiring a passion for science. Since 2010, we’ve gone to SDCC every summer to talk about science outreach and get the word out about Spectra’s latest showdown against baddies like the evil Miss Alignment, or Lucy's nefarious swim coach Henri Toueaux. You can read all of Spectra’s adventures free online, along with our other PhysicsQuest comics, or order hard copies along with activity kits if you know a budding scientist! Who knows--if they learn to love physics, maybe someday they'll have a job that takes them to such a crazy and magical place! Enjoy the comics, and check out some of our photos from Comic-Con 2015 below. How many physicists does it take to put together a booth? Miss Alignment is back in Spectra 7: High Intensity! After a nightmare of PVC and duct tape, the Physics Central team is proud of their booth. with the help of Emily, APS News' science writer! Cosplayers abound, as James explains who we are and what we do. You're never too young to start learning about physics! The crowd inside the convention hall is pretty intense. The crowd outside is even worse! Doctor Yi Suchong shows off his genuine Edison Wax Cylinder record. ...along with some folks trying to get their live-action Thundercats movie off the ground. and Dave revealed his superpower to us! What, you think they give Legion rings to just anybody? Surprisingly, it's not just the food. If you've ever gotten unusually bloated on an airplane, you might have chalked it up to the stress of traveling, carbonated drinks, or the fact that you wouldn't really think twice about passing gas if not for the person sitting right next to you. But fasten your seatbelts and lock your tray tables; we're exploring the physics behind the very real phenomenon of airplane flatulence, and by the time we land you'll have an indisputable excuse for your seat-mate. It may ease the social turbulence some to point out the irony of the situation: our increased tendency for in-flight flatulence is largely due to something called the ideal gas law.